Chicago, Ill. - The Chicago Blackhawks announced today they have acquired forwards Tomas Fleischmann (FLIGHSH-muhn) and Dale Weise (WEES) from the Montreal Canadiens in exchange for forward Phillip Danault and Chicago’s second-round pick in the 2018 National Hockey League Draft. Danault, 23, has scored five points (1G, 4A) in 30 games with Chicago this season. He also has registered two points (1G, 1A) in six games with Rockford this season. The Victoriaville, Quebec, native appeared in two games with Chicago last year, including his National Hockey League debut on Nov. 22 at Edmonton. 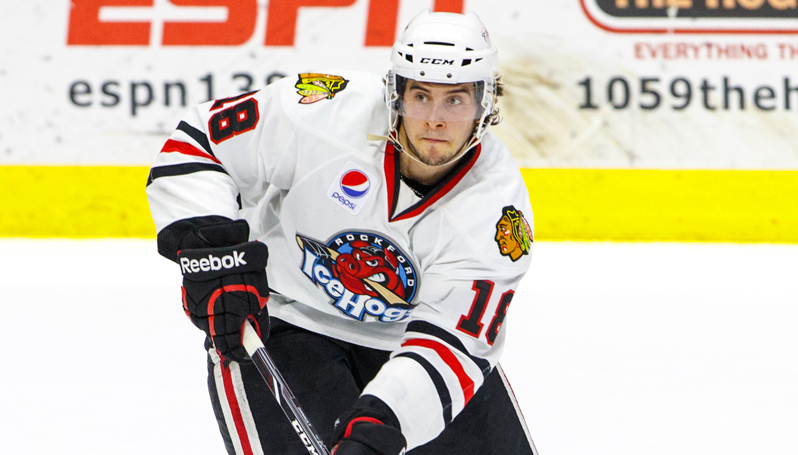 Danault compiled 20 goals and 48 assists over 160 career games with the IceHogs. He was one of Chicago’s first-round selections (26th overall) in the 2011 NHL Draft. Fleischmann, 31, has tallied 20 points (10G, 10A) in 57 games this season with Montreal. A native of the Czech Republic, Fleischmann scored five goals in November including a season-high two goals on Nov. 1 vs. Winnipeg. The forward has played in 638 career games and registered 330 points (133G, 197A). In 35 career Stanley Cup Playoffs games, he has posted nine points (4G, 5A). Currently in his 11th NHL season, Fleischmann has also spent time with Washington (2005-10), Colorado (2010-11), Florida (2011-2014) and Anaheim (2014-15). He was originally selected by Detroit in the second round (63rd overall) of the 2002 NHL Draft. Weise, 27, has recorded 26 points (14G, 12A) in 56 games with Montreal this season; he ranks second on the Canadiens with 108 hits and has added 117 shots on goal. The Winnipeg native has posted 85 points (37G, 48A) in 314 career NHL games across six seasons with the New York Rangers (2010-11), Vancouver (2011-14) and Montreal (2014-16). He has added 10 points (5G, 5A) in 34 Stanley Cup Playoffs games. Weise was originally drafted by the New York Rangers in the fourth round (111th overall) of the 2008 NHL Draft. Next Home Game: Tickets for Saturday, March 5 vs. Lake Erie Monsters at 7 p.m are SOLD OUT. Tickets still remain for the game on March 6 versus the Monsters at 4 p.m. March 6 is Autism Awareness Ngiht and after the game, the team will host a “Skate with the Hogs” event where fans will be welcome to skate on the ice with their favorite IceHogs players.